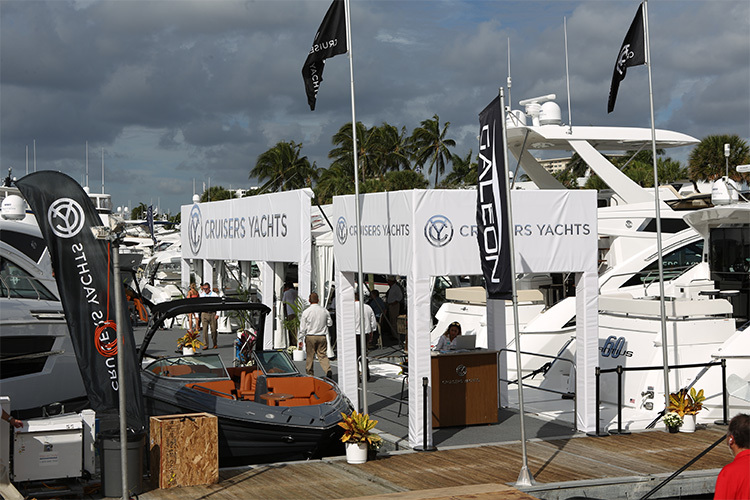 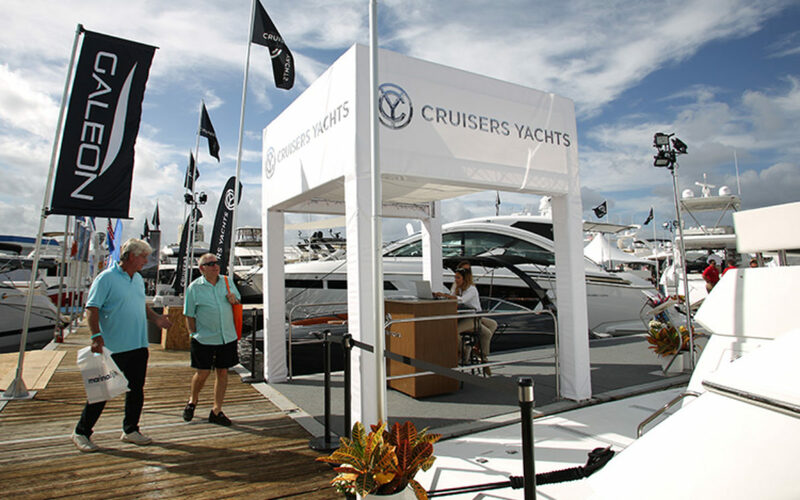 In the increasingly competitive environment of international boat shows, it is not enough for yacht builders to simply dock their amazing boats at the pier. 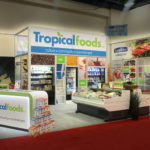 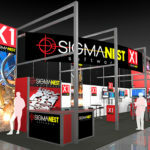 Your brand name needs to be easy to see from a distance to help pull visitors into the exhibit. 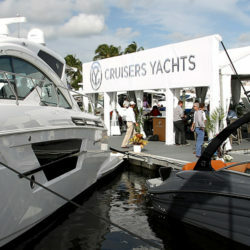 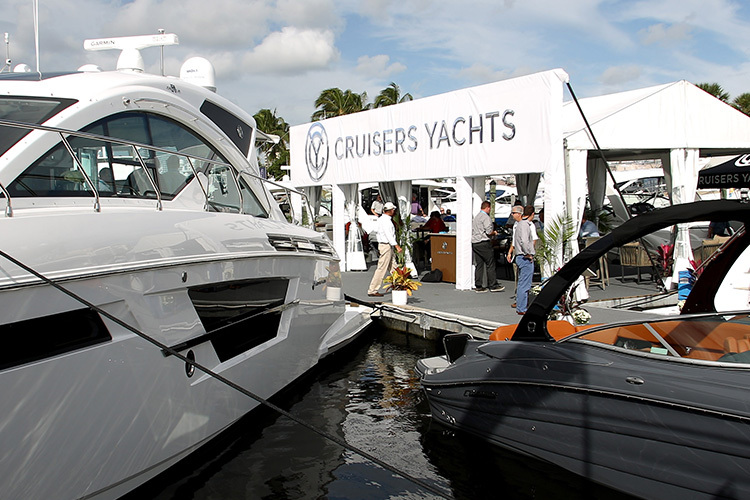 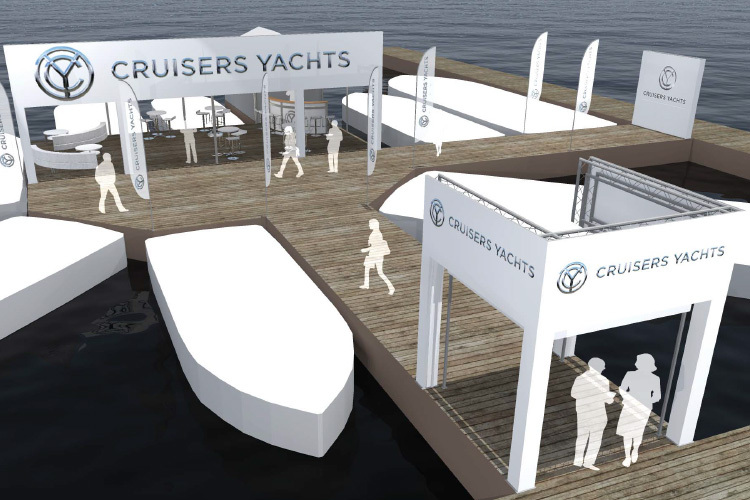 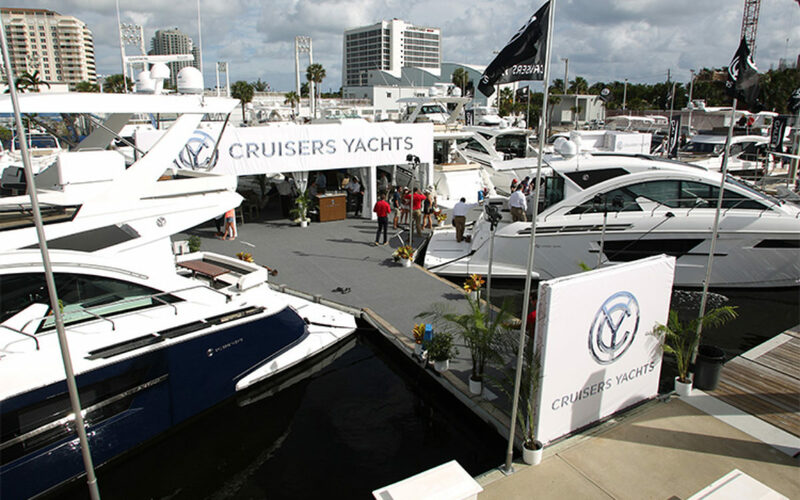 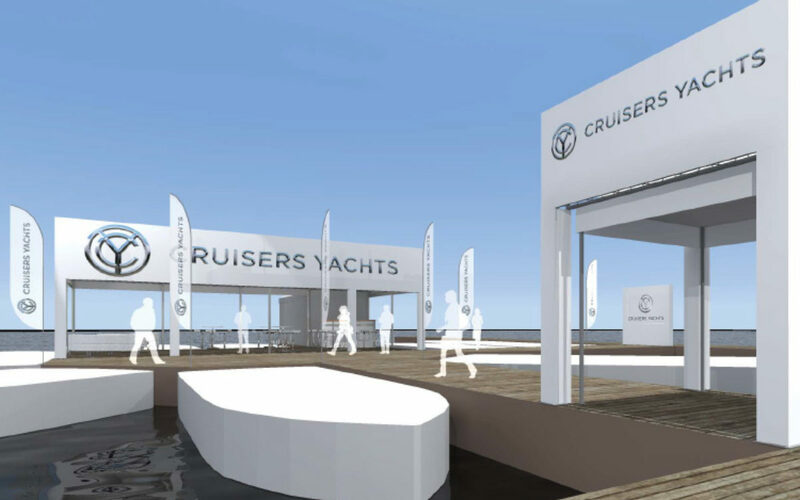 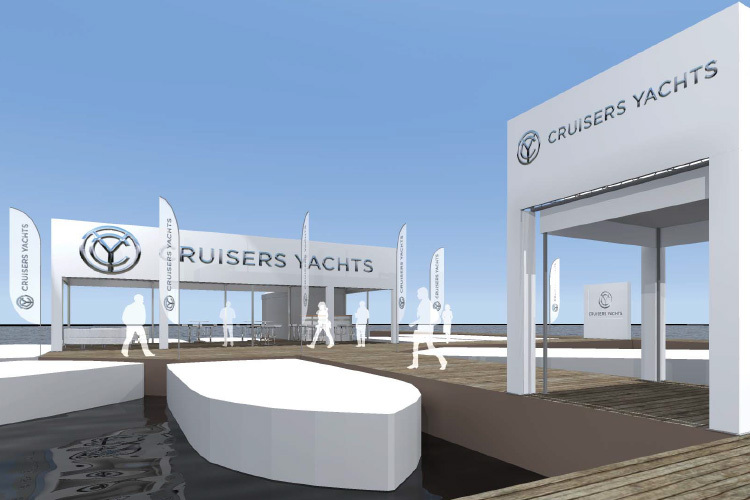 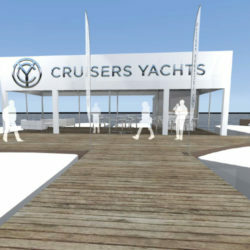 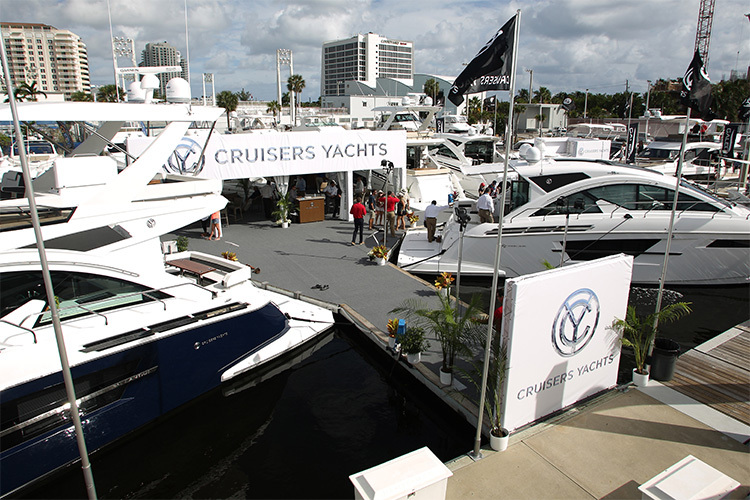 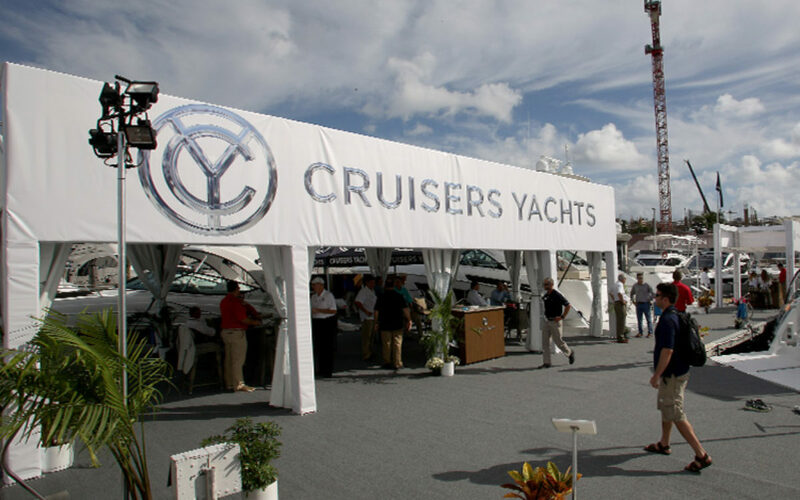 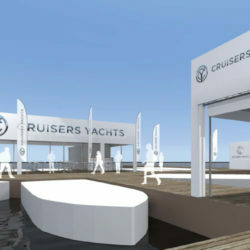 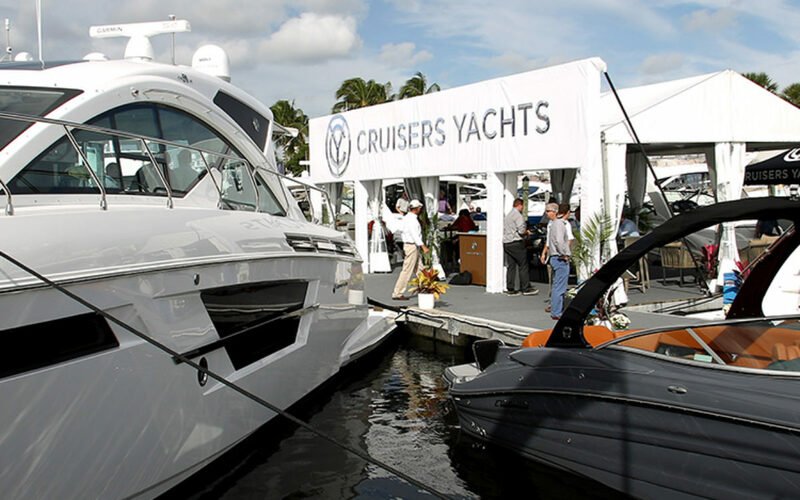 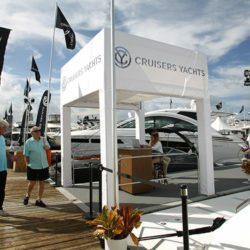 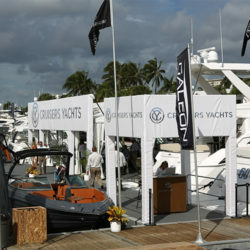 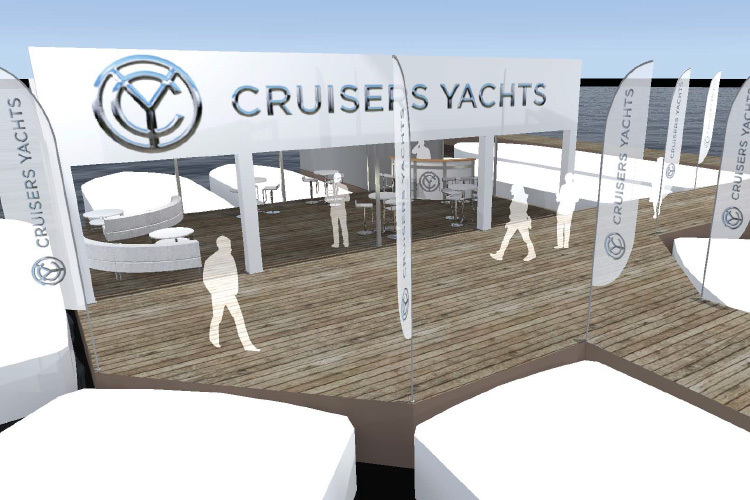 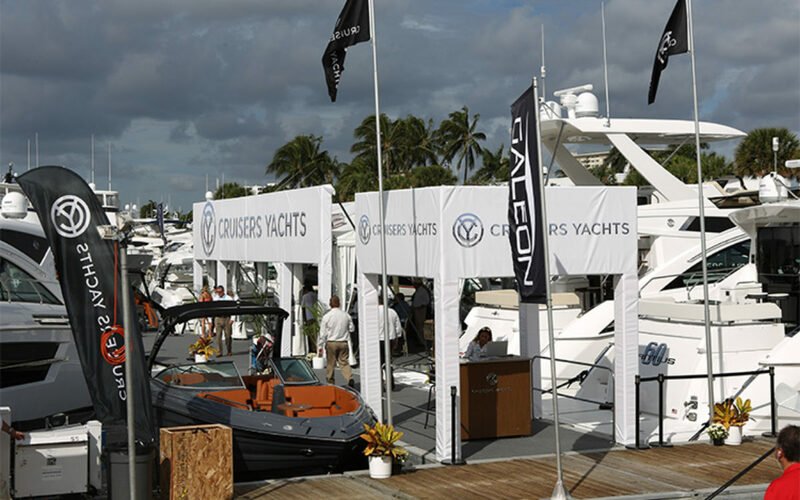 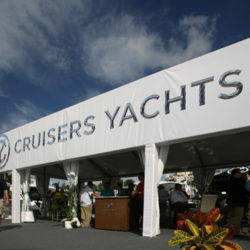 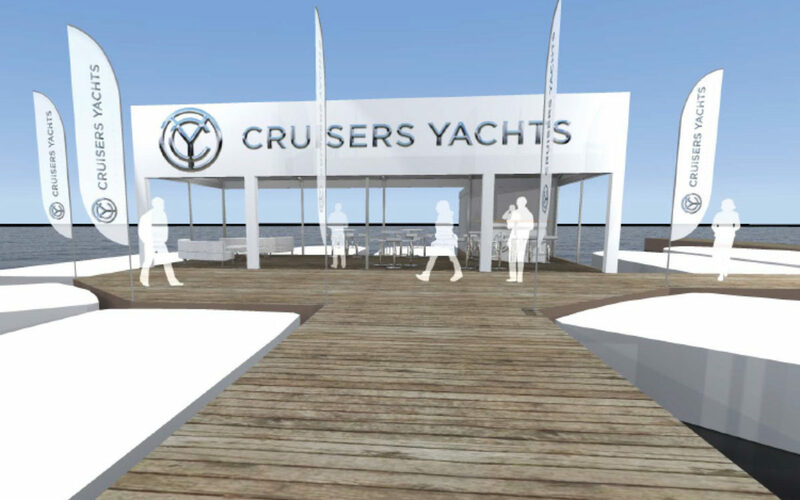 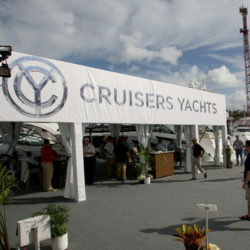 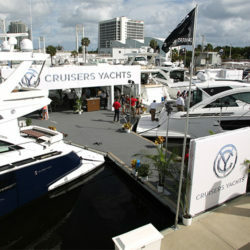 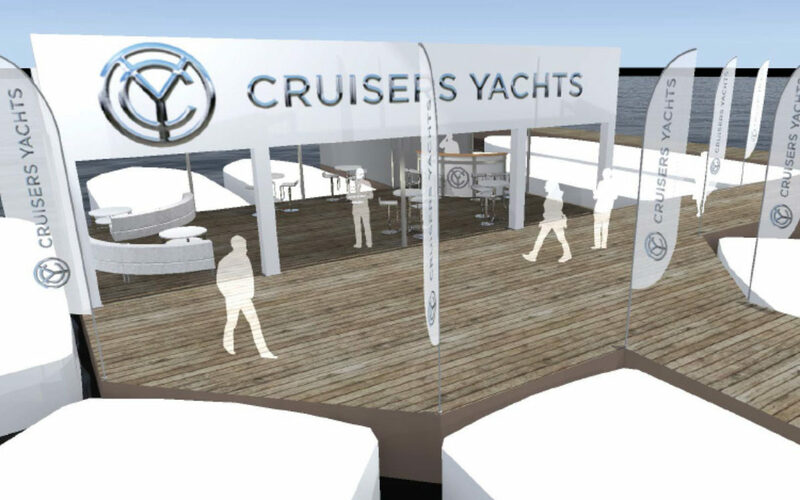 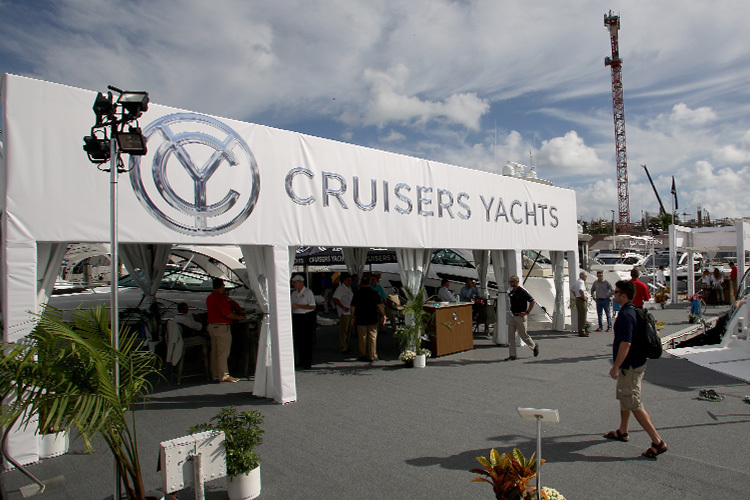 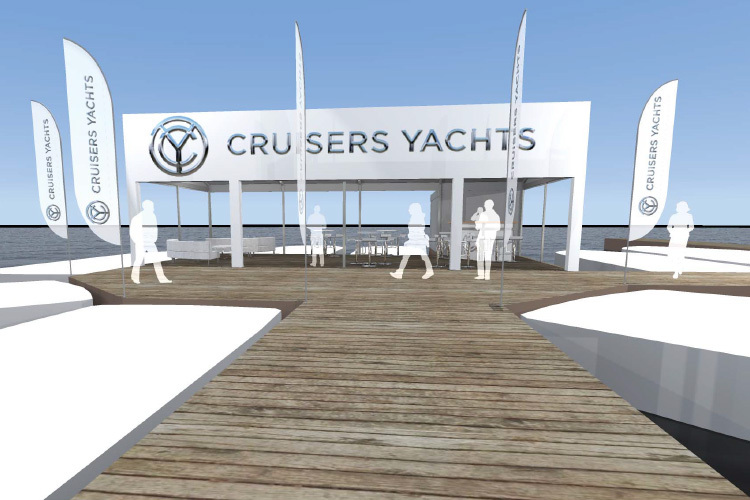 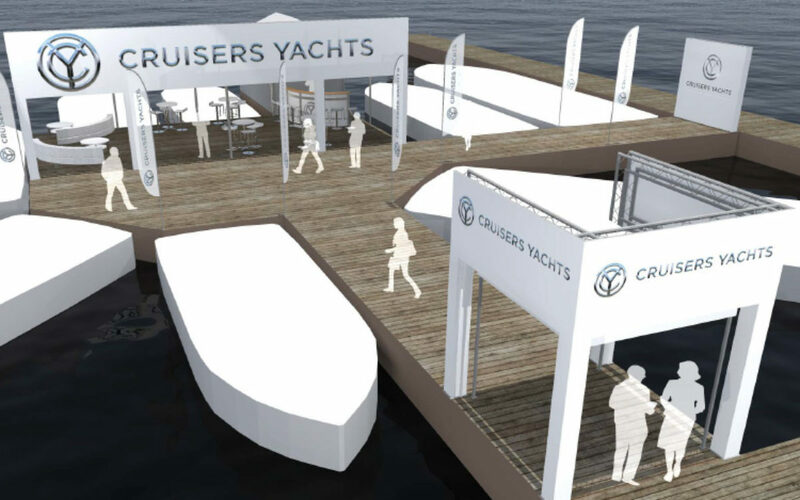 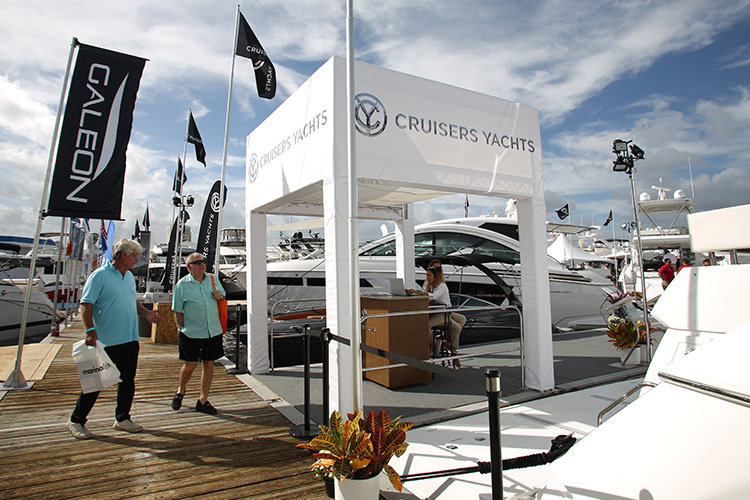 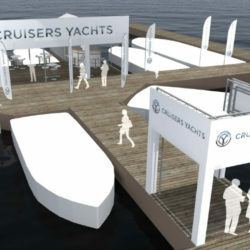 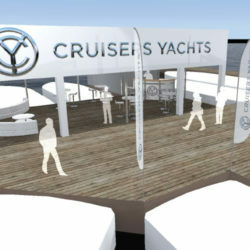 For Cruisers Yachts at the Fort Lauderdale Boat Show, Exhibit Systems created three branded treatments for key points of the exhibit: an entrance cube, a large façade for the hospitality tent, and a branded barricade to help traffic flow into the exhibit. 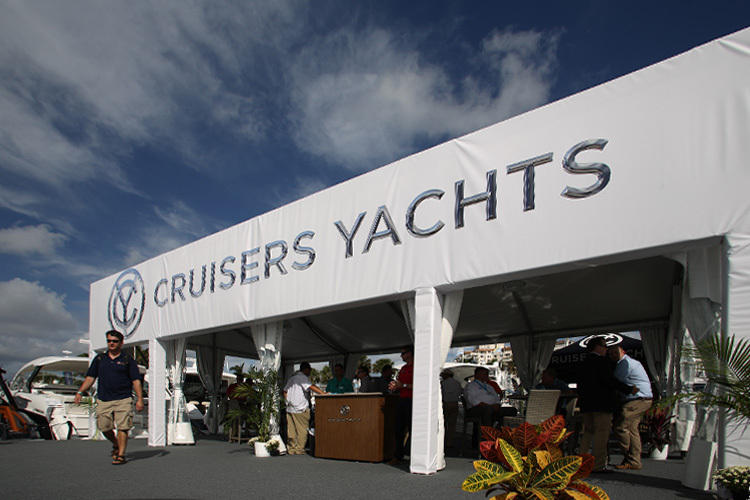 These truss based structures were designed to mount to temporary floating piers and to withstand the dynamic weather of the South Florida coast.